This chapter aims to identify those factors that determine green consumer satisfaction, having as the emerging point the definition of consumer behavior and the concept of sustainable development. The authors propose a new approach of the dimensions of the evaluation model for customer satisfaction including a new one, called The Green Dimension. An important goal is identifying the drivers of the consumer purchasing. The authors identify three main specific levels of the green dimension of customer satisfaction. They are related to: Company, Product/Service, and Price. Then some considerations regarding an integrated approach of strategic mix from a ‘green' perspective are presented. According to the U.S. consultancy Boston Consulting Group, in order to obtain a Green Advantage, companies should enhance their strategic mix, taking into consideration green planning, green processes, green product and green promotion. 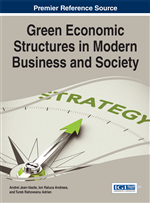 The authors add two more elements, namely people and eco-efficiency, resulting “The Green Strategy Mix”. The concept of satisfaction has been subject of study for many researchers. However, satisfaction is still difficult to be defined, as Oliver asserted in 1997 in his book, “Satisfaction: A Behavioural Perspective on the Consumer” (p. 13). Thus, although satisfaction seems to be a widely known concept, when a definition is required it is difficult to obtain. The subject of this thesis is to reveal multiple senses of customer satisfaction emphasizing the Green Dimension (Sima & Gheorghe, 2009). Customer satisfaction is subject of study not only for scholars, but also for companies. The purpose of this analysis is very pragmatic, namely to determine its maximizing in order to increase customer loyalty. To achieve this, it is essential to identify key factors which determine customer behaviour. Although in the literature of specialty there is widely accepted opinion that satisfaction represents a response to consumption related experiences (Yi, 1990; Anderson, Fornell & Lehmann, 1994; Oliver, 1997; Giese, & Cote, 2000), it has a wide range of definitions and assessment ways (Peterson & Wilson1992; Giese, & Cote, 2000). A customer who has achieved a high level of satisfaction will be tempted to repeat the purchase, thus becoming loyal. The final effect will be the customer retention (Zairi, 2000). Moreover, he will be prompted to provide positive recommendations to other potential customers. On the contrary, a dissatisfied customer will give up in the future buying the product or service or even he will return it. Another possibility to reduce dissonance is also searching for information that confirms the high value of the product or service (Kotler, 2000). In research studies for satisfaction more operationalizations of satisfaction were used (Westbrook, & Oliver, 1981; Hausknecht, 1990; Peterson, & Wilson, 1992; Wirtz, & Lee, 2003). Thus, Hausknecht (1990) listed 34 measures, including measures of behaviour (namely, behaviour registrations, such as number of complaints about the main product) and self-report measures (namely, survey items, such as rating scales).